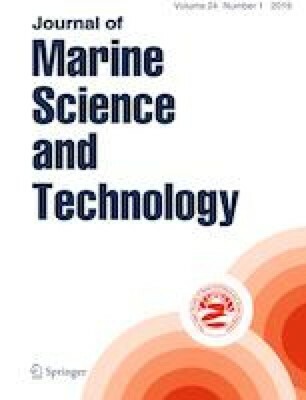 In consideration of the defects of traditional least squares and extended Kalman filtering methods that are used for parameter identification of ship response model, i.e., low precision and converge rate, multi-innovation least squares and improved multi-innovation extended Kalman filtering are proposed in this paper, respectively. Specifically, a forgetting factor is introduced to reduce the cumulative impact of past interference in multi-innovation extended Kalman filtering, and relevant bounded convergence of the improved method has been analyzed theoretically. Based on \(10^\circ /10^\circ \), \(20^\circ /20^\circ \) and \(30^\circ /30^\circ \) zig-zag tests on a real experiment platform and simulations with KVLCC2 ship model, comparisons on identification precision and convergence rate between the proposed multi-innovation identification methods and traditional methods are conducted. Meanwhile, comparisons between the multi-innovation least squares and the improved multi-innovation extended Kalman filtering are also carried out. The simulation and actual experiment results indicate that both the identification accuracy and convergence rate of the proposed improved multi-innovation extend Kalman filtering method are higher than those of the traditional identification methods and the multi-innovation least squares method. The work presented in this paper was funded by Natural Science Foundation of Hubei Province Project (no. 2015CFA111), the Project of Ministry of Transport, PRC (no. 2015326548030), the China Postdoctoral Science Foundation (no. 2018M632923) and financially supported by the Double First-rate Project of WUT(Wuhan university of Technology).